Sir Euan Anstruther-Gough-Calthorpe&apos;s stated aim is to ensure that the Calthorpe Estate is a superb place in which to live and work, just a mile west of the city centre. Sir Euan has worked closely with the management team of Calthorpe Estates and the board of trustees to develop the Edgbaston estate sympathetically and in a sustainable way and that development is continuing apace. The estate has been overseen by Sir Euan&apos;s family - one of the oldest in Birmingham - since 1717. Throughout that time, the family refused to allow factories or warehouses to be built within the estate, so creating a high-quality urban village and leading to the area’s high property values. Chief executive of influential and fast-growing AIM-listed Real Estate Investors, Paul Bassi set up his first property company in 1983, creating Bond Wolfe. He is the eldest son of a Black Country foundry worker, and was awarded a CBE in 2010 in recognition of his services to business and the West Midlands community. His previous roles include High Sheriff of the West Midlands, president of Birmingham Chamber of Commerce, regional chairman of Coutts Bank and a director of Birmingham Hippodrome. REI expects rental income to be £16.5 million this year, more than ten per cent up on 2016. Phil Carlin is managing director of property investment group Seven Capital which is behind many regeneration schemes in the West Midlands. In addition, he has been appointed by West Midlands Mayor Andy Street to head up his business advisory group. The group is made up of business representatives including the region&apos;s three chambers of commerce, the CBI, the IoD and the Federation of Small Businesses. Seven Capital is investing in projects across Birmingham which represent more than 2.3 million sq ft with a value of £700 million. Property entrepreneur Steve Dodd is founder of Elevate Property Group, based in Birmingham&apos;s Jewellery Quarter. Elevate has focused on development projects in the city such as Honduras Wharf, Queensway House and St Paul’s House. Its first city project, Concord House, set a record price for luxury living in Birmingham of nearly £1.8 million for a penthouse apartment. This year the company has spread its wings and now has more than 1,000 new homes in its pipeline with many more projects in Birmingham but also further afield in Coventry, Hereford, Gloucester, Nottingham and most recently Ashford in Kent. Neil Edginton is managing director of EDG Property. He and the EDG group of companies have been instrumental in changing the landscape of Birmingham with major regeneration projects including The Cube, The Mailbox and Fort Dunlop. He provides asset management, development and construction services to leading banks and some of the UK&apos;s largest funds. He is also chairman of the Birmingham Children&apos;s Hospital Charity which has a target of raising £10 million a year. Bob Ghosh, who studied architecture at Leicester and Birmingham School of Architecture, is a director of Fazeley Street-based K4 Architects. His practice has worked on a number of prestige commissions including the redevelopment of Connaught Square and the rebirth of Mere Green town centre. He has completed major projects in Manchester, London and Yorkshire as well as Birmingham and has also worked on mainland European projects. K4 won the 2016 RICS/Channel 4 Great British Building Restoration of the Year award and won the RICS West Midlands award for innovation through design. Rob Groves, regional director at Argent, is, as the firm&apos;s senior project director, responsible for the £700 million Paradise Circus project - a joint venture with Birmingham City Council involving the commercial-led, mixed-use development of two million sq ft on a 17-acre site.He has more than 30 years of experience in planning, design and construction. Mr Groves joined Argent in 2007 and in January was appointed chairman of the British Council for Offices committee in the Midlands and East Anglia. Hortons&apos; Estate is one of the Midlands most prominent family-owned property companies, run by Peter Horton who became chairman of the group in 2015. The company&apos;s most prestigious city centre project is the restoration of Birmingham&apos;s Grand Hotel to its former glory. The façade of the hotel has been restored and its interior completely renovated, with office space being created. Shops and bars now form part of the hotel&apos;s frontage, along with a restaurant which can spill out onto the pavement. The company has acquired Old Dalby Business Park in Leicestershire for £10 million, with plans to extend the 39-acre site. Glenn Howells Architects is based in Birmingham city centre, with a studio in London. It was set up by Glenn Howells more than 25 years ago. His practice has been involved in the design of several complex and ambitious projects including the £700 million Paradise project in the civic heart of Birmingham and the transformation of the Eastside. He chairs the board of trustees of the Ikon Gallery and is a visiting professor at Nottingham Trent University and was a member of the 2012 Olympics design review committee. The Glenn Howells-designed Remembrance Centre at the National Memorial Arboretum in Alrewas won the UK Project of the Year award at the 2017 RICS Awards. Anthony McCourt led the £92 million Cube development out of administration in 2010 on behalf of Lloyds Banking Group. Originally qualified as a solicitor, he has since helped launch Roar, a commercial voice and data company, as well as running Court Collaboration, a property development and investment vehicle. He founded Birmingham&apos;s first Enterprise Academy in 2009 and was appointed chairman of Birmingham Leadership Foundation. 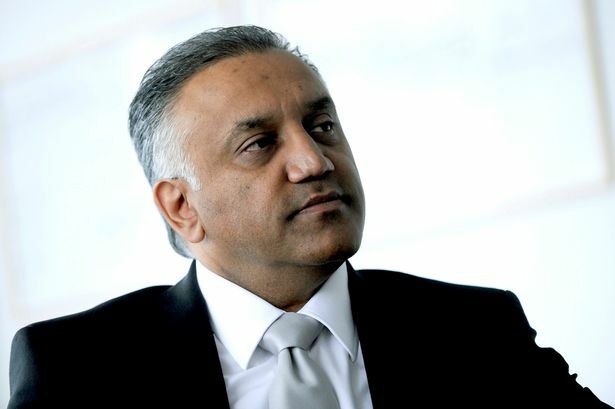 He has been instrumental in attracting Asian investment into Birmingham and West Midlands developments. Court Collaboration won the Small Business of the Year award at this year&apos;s Birmingham Post Business Awards. Miller Developments is the company behind the redevelopment of Arena Central - a £530 million project to build new offices, a hotel and car park on the site of the former Carlton TV studios on Broad Street. The 9.2-acre site is already home to HSBC&apos;s new retail bank headquarters. Andrew Sutherland is joint managing director of the Edinburgh-based developer and the Arena Central project comes within his remit.